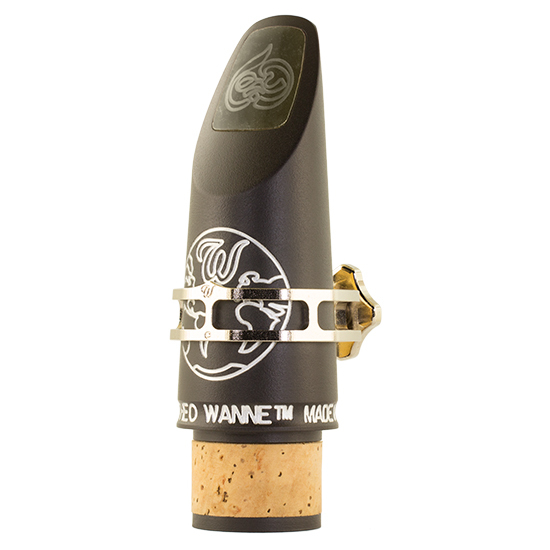 The classic clarinet mouthpiece has finally been updated! The GAIA clarinet shows the innovation we've come to expect from the world mouthpiece expert of mouthpiece design, Theo Wanne. The GAIA design is based on the great vintage mouthpieces by Frank Kaspar, Henry Chedeville, and Kal Opperman. Yet Theo took his decades of mouthpiece design knowledge to maximize the airflow of these designs to create a freedom of play and breadth of tone so big only a Bass Clarinet could compare. Because it maintains the fundamental beauty of the classic clarinet mouthpiece it is appropriate for all types of music from classical to jazz. To hear more about the design click the video link. Theo Wanne™ clarinet mouthpieces are manufactured to the same legendary standards as the rest of the Theo Wanne™ saxophone mouthpiece line. They use the world's most advanced manufacturing, CAD designs, and full five-axis machining, and every mouthpiece is made from a solid bar of the highest quality hard rubber right in his factory in Bellingham, USA.